Learn new glazing techniques gained from a summer of intensive study with majolica master Marino Moretti! 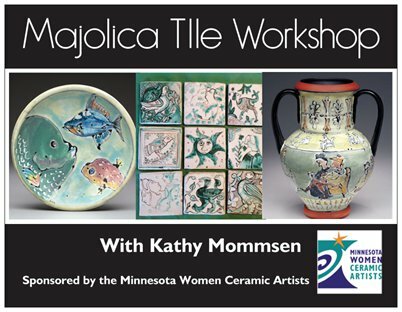 Kathy Mommsen will share a slide show of her time studying in Italy and Medieval influences and techniques, then demonstrate glazing techniques and give instruction on brushwork. 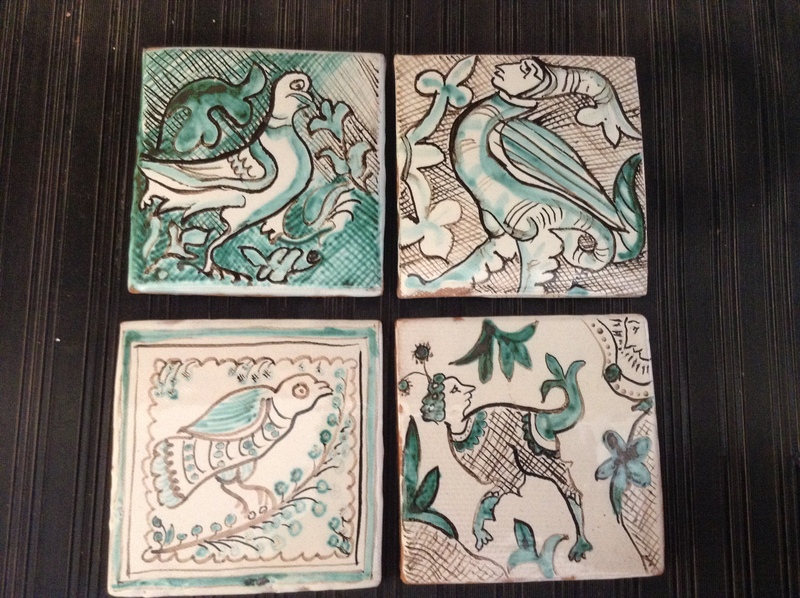 You will decorate two of your own majolica tiles. 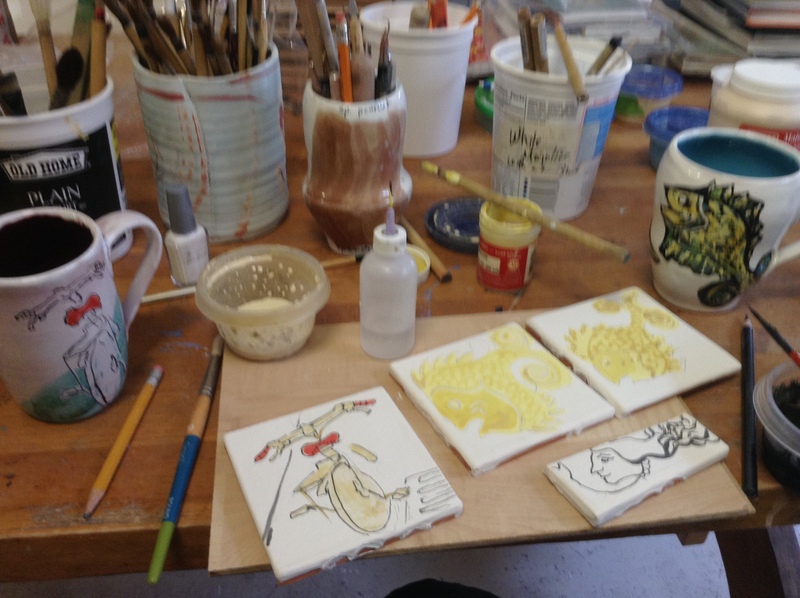 If you have a few small detail brushes that come to a point...bring them with for decorating your tiles.